BRA ceased production of the CV3 in 2002 when the project was sold to a company in Kent. The project has since been sold again. 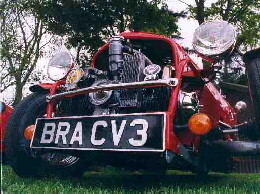 We designed the CV3 during the winter of 1997 and launched the car at the Stafford kit-car show in March 1998. 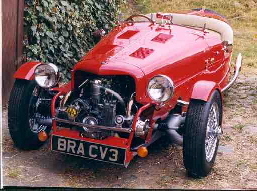 BRA were the first manufacturer to keep a car "covered up" until the official "launch time" and at 12 noon the car was unveiled by Peter Coxhead, the late editor of Kit-Car magazine. Over 1000 people watched the unveiling and we received our first order within 30 minutes. We sold a further five kits during the show with many more orders following during the next few weeks. The CV3 became the centre of attention at shows throughout 1998/9 and it would not be unusual if we came away from a show with over 10 orders! (or after-market) 2CV chassis. 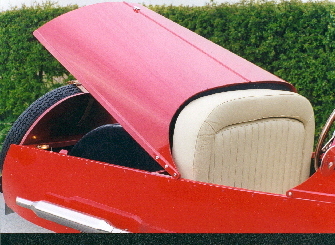 The car therefor utilised the engine, transmission and suspension of the "donor" 2CV. The CV3 shared the GRP nose cone, scuttle, rear cover and cycle wings of the CX3 and, like the CX3, the bonnets were alluminium and the side panels were alluminium alloy. 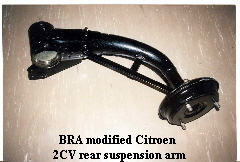 Modifications to the Citroen components included a major conversion of one of the rear suspension arms and truncation of the other. The front hubs were modified to accept the cycle wing mountings and various smaller components such as the gear linkage and fan pulley were also modified. BRA also designed and manufactured a rear suspension inter-linking kit which vastly improved ride and handling. The twin stainless steel exhaust system was manufactured to BRA specifications by a specialist company in Nottingham. BRA manufactured a range of optional equipment for the CV3 including seat sets, tonneau covers, screens, trim and instruments. The CV3 continued in production until late 2001 when the project was sold. At the height of it's "career" orders for CV3 kits peeked at around 30 per month. In total over 400 CV3 kits were manufactured along with 25 fully built cars, including three demonstration cars. Fully built CV3's, built to show standard, demand good prices on the used market and will therefore bring the builder a good return should the decision be made to sell the car. Customer built examples have recently fetched upwards of £9000 and factory built cars have been known to achieve over £12,000. Sadly many CV3's were built by people who "did their own thing" and as a result there are some particularly poor examples, which is obviously reflected in the cars value. 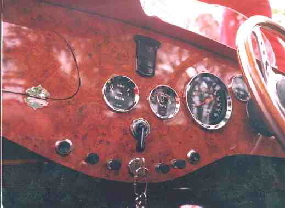 A general minimum specification for a CV3 would include spoked wheels, BRA exhaust system, leather trim, BRA instrument set, etc. Cars built to specifications like this obviously command a higher price. The four wheeled version of the CV3, the CV4, was developed during 2000 but, although a fully functioning (and registered) prototype was produced, the car never went into production. The prototype is still owned by BRA. Some redevelopment of the CV3 was also undertaken in 2000 and although some pre-production moulds were produced the car, known as the CV32 never saw production. BRA still own the pre-production moulds.